The List of our Spring Workshops !!!!! Cost: $60.00/student, includes all materials. 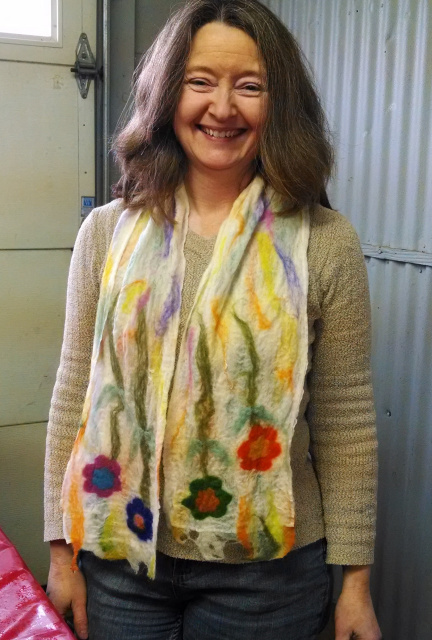 No art experience is required for this class, you will be instructed on felting & assembly techniques. Description: Fiber Artist, Julie Verhelst from Sunny Meade Alpacas will instruct you on the use of the farm's FeltLOOM, a felting machinge with 288 felting needles. You will have the opportunity to make a unique, one of a kind accent pillow to brighten your home decor. Your pillow will start with a provided black or white batt background, created with your included shopping choice of colored roving embellishments. Cost: $65.00/student, includes all materials. 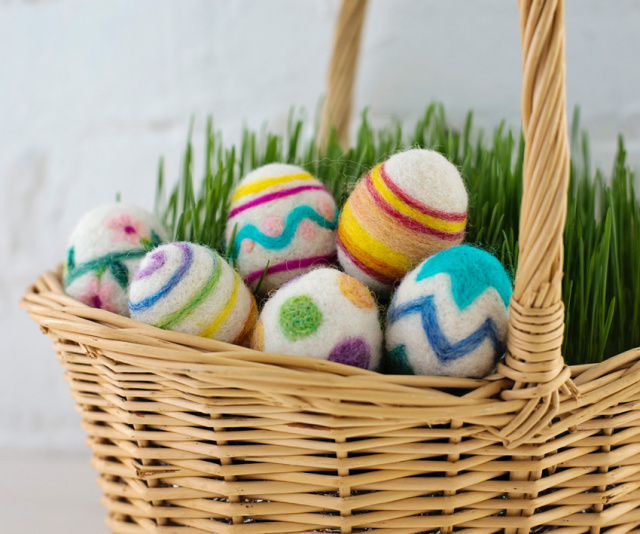 Description: Learn the basics of "sculpting" and "decorating" with wool and leave with a beautiful and unique set of Easter Eggs. First we will learn how to make an egg shape. Participants can try out a variety of felting tools which help the sculpting go faster. Then we will add on the colorful designs. This is good practice if you would like to use needle felted embellishments in other projects. 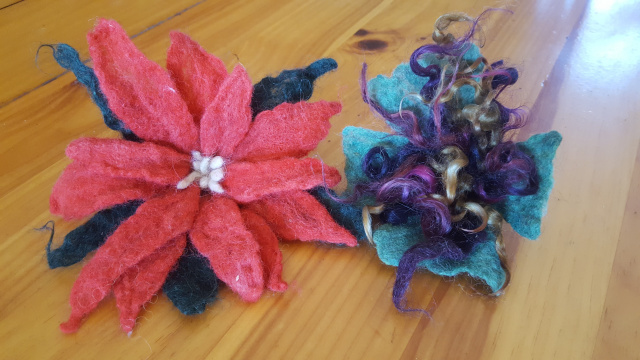 During the class, we will also cover the basics of felting supplies including types of needles, best tools and kinds of wool that work well for felted artwork. Cost: $75.00/student, includes all materials. Please Bring to Class: This class can be a bit messy and wet. Students should not wear anything low cut as you will be bending over a lot, also bring a towel or two and a plastic bag to take home wet items. Gloves may be helpful if you are sensitive to dish soap. Description: In this class we will walk you through how to set up the loom, introduce you to weaving terminology (warp, weft etc...) hands on weaving on your loom and talk about finishing techniques. In the very first class you will go home having warped your loom and started weaving a multi-colored scarf. Be prepared to fall in love with this craft!! 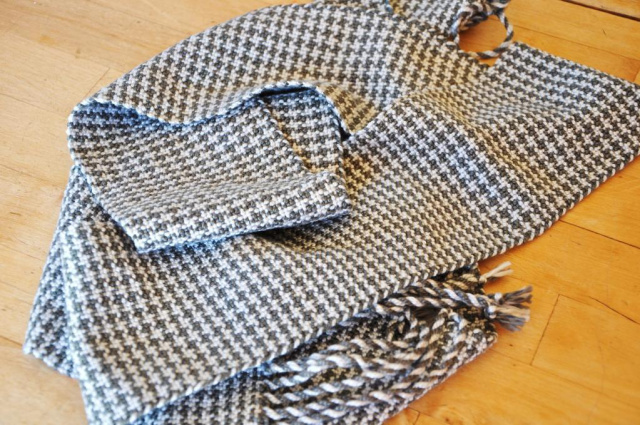 You will have your choice of making a Hounds-tooth or Log Cabin Pattern. Description: Learn the basics of sculptural needle felting & get practice in shaping small parts. All Experience levels welcome. 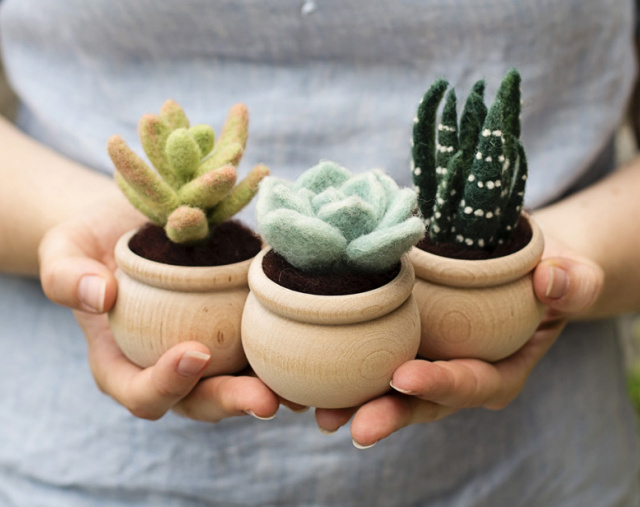 You will learn how to make a trio of super cute succulents that never need to be watered, and get smiles & compliments wherever they go! We will not finish all three plants in class, but most students are able to complete one plant and will leave with the knowledge, skill and supplies to finish the other two at home. Description: Learn different dye techniques along with color theory. You will have the option of hand-painting yarn and/or roving using protein dyes and set them using the microwave. Class includes tools, dyes, yarn and/or roving. Please Bring To Class: This class can get messy please bring an apron and rubber gloves, along with a plastic bag to take home wet items. Cost: $50.00/student includes all materials and equipment. Description: Drop Spindles and roving are included for you to keep and will be supplied at class time. 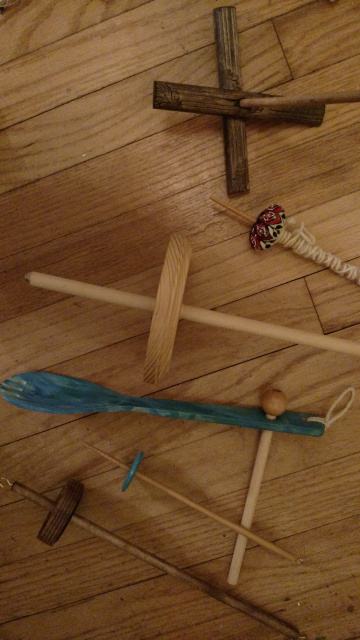 Using a spindle is a very economical way to learn hand-spinning for a beginner. Drop Spindles are inexpensive to buy (relative to a spinning wheel) and also very easy to make. Once you have mastered the spindle you will have learned the steps needed for spinning on the spinning wheel: drafting out fibers, twisting the fiber into yarn, plying, winding up and storing the spun yarn. This is a very relaxed class!! Please Bring to Class: A Wheel freshly oiled and in working order, along with any prepared fiber you want to work with. Description: In this class Katja will help you get your wheels spinning and your hands guiding the fiber. Yarn will happen!!! No previous knowledge is needed, but you can learn a thing or two even if you have been spinning for a while. Katja will provide good beginners fiber, three wheels to try out, joy and patience. Cost: $55.00/student, includes all materials. Description: This is a wastebasket sized basket. In order to get a perfect shape, you will learn to use a round hoop as a mold. It has a unique rim to top if off. Several colors will be available for the stripes. Cost: $65.00/ student, includes all materials. 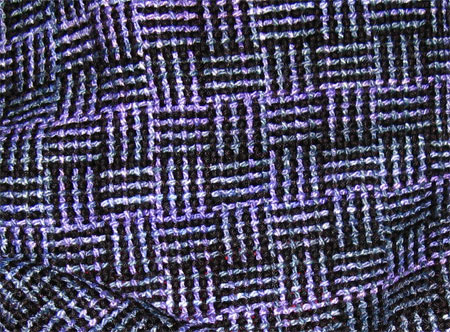 Description: Learn the techniques needed for "coloring with wool." This is a brand new type of needle felted project. It is similar to a coloring page or paint by number (but with wool and a felting needle!) which at first glance might be mistaken for a cross-stitch or embroidery pattern. We will start with a piece of linen fabric that already has the floral design printed on it and fill the picture in with wool using a single felting needle. This is a great class for someone who loves to have a pattern and enjoys coloring inside the lines. You don't have to be particularly "artistic" you just have to learn to poke little bits of wool into place with some precision. Cost: $55.00/student plus a $5.00 Material fee paid directly to the instructor at the beginning of the class. Please Bring to Class: Feel free to bring an apron if you do not wish soap on your clothes, and a bag to take wet flowers home in. Description: Using hot soapy water, tulle, and our hands, we will lay out and felt hand dyed roving into bright, beautiful, flowers. Fun to put in a vase or use to embellish other projects with. Cost: $55/student, includes all materials. Please Bring To Class: A loom in working order (rigid heddle or small table top), threading tool, shuttle and scissors. Description: In this class we will walk you through how to set up the loom, introduce you to weaving terminology (warp, weft, etc.) hands on weaving on your loom and talk about finishing techniques. In the very first class you will go home having warped your loom and started weaving a multi-colored scarf. Be prepared to fall in love with this craft! We may have 2 looms available for purchase so contact me (k.moskal@hotmail.com) if you are interested. Description: - Learn how to make a needle felted landscape. 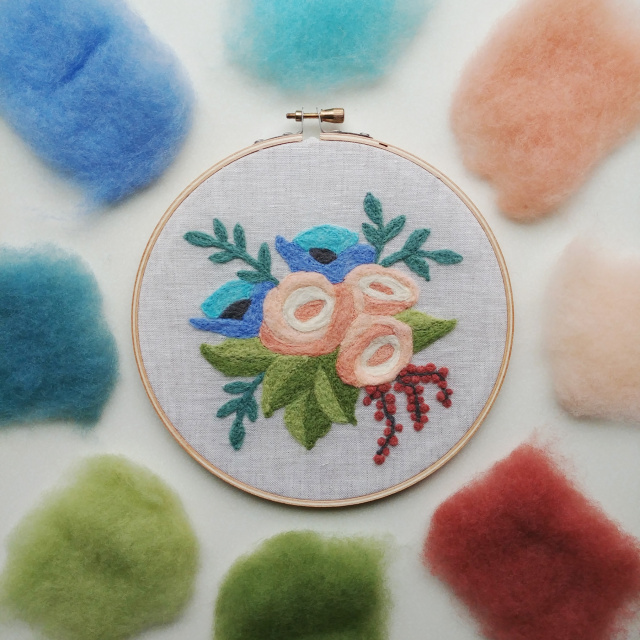 This class is great for complete beginners or those who have tried other types of needle felting but want to learn how to make felted pictures and flat motifs. Go home with a finished and framed fall landscape and confidence to try out other needle felting projects. 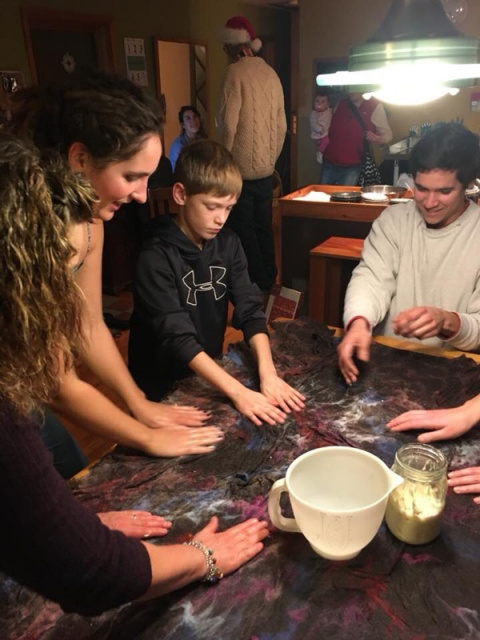 Description: - In this class we will learn different dyeing techniques to hand paint yarns using protein dyes to color animal fiber yarns in the microwave. 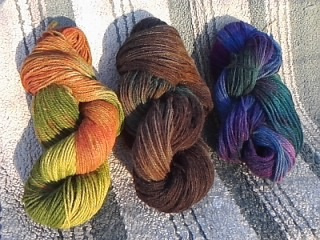 Class includes tools, dyes and either two 4oz skeins of Sock Yarn OR two 8 oz rovings of combined top wool. Please bring an apron, rubber gloves (like kitchen dishwashing gloves) and old clothes as they may get some dye on them. Instructor will also have disposable apron and gloves available. Description: - Using the age-old art of card weaving (or tablet weaving), you can create beautifully patterned bands to use as belts, straps, bookmarks, or to embellish other weaving projects. This class will teach you how to read the pattern, to warp the cards and to weave with this ancient and fascinating system. We will be using a simple 6-card pattern draft, warping the loom and weaving book marks or a strap in up to 3 different patterns. Class includes cards, weaving materials, pattern and Board Loom; you will take home your simple loom! Description: - Using the same technique as stick weaving, you will use a peg loom to create a sample rag rug using cotton strips and cotton warp. Looms are also available for sale for $30 for those wanting to make a larger rug in the future. Description: Your instructor is a trained fiber sorter and grader with years of experience and hundreds of sorted fleeces under his belt. Come join us and learn how to skirting your fleece. We'll look at fiber basics, identifying the fiber and skirting techniques for separating it into the best usable parts. Determining what the best uses for your fleece are. The instructor will have a variety of fleeces for the class but you can bring one if desired. Description: This is a basket that can be used for many things. 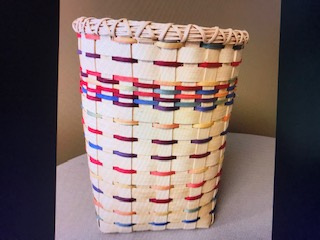 It is a great project basket or even a small picnic basket. It has an open weave bottom, and a fun twill working up the sides. The color comes from space dyed reed, which has many different colors on the same piece. It is finished off with a beautiful swing handle. The base will be started so you can jump right in with the fun stuff! Description: The finished bag will be approximately 8"x10". The bag is laid out with a resist and designed in individual colors and pattern choices and then wet felted. Description: Learn a weaving technique called Sprang that dates back to 500 BC to create a stretchy market bag. Hammocks, bags, scarves, and hair nets were common items made. Loom and fiber are included in the cost of the class. If you are interested in teaching a class or workshop, please use the link below to sign up Today! !